Precision Floors and Décor in Plymouth, Wisconsin is proud to provide residential and commercial customers with the highest quality, custom flooring and window treatments in the area. 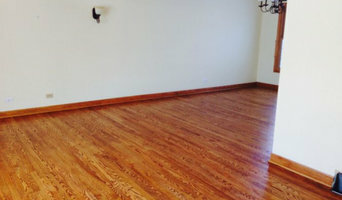 Jerry’s Dust-Free Hardwood Flooring is a family-owned and operated business serving the greater Chicago area with all its hardwood flooring needs. Urban Evolutions, Inc. has 20 years of experience in collaborative material design using both new and reclaimed materials for retail, residential, hospitality and commercial projects. Starting out in our home our family has been involved throughout the years. We have expanded staff beyond family and have built a spacious showroom where nature surrounds us, offering a peaceful and relaxing atmosphere. The products we carry and our approach to selection, installation and customer service begins and ends with the community that has inspired our family owned business for the past 22 years. Our team will give you the time and expertise to meet your needs. We have been working with local homeowners, designers, contractors and architects to make Wisconsin and Illinois homes the best they can be. From tiny baths to new homes, schools and churches, our friendly staff and commitment to quality have made us a favorite to partner with for the residential and commercial construction industry. It's this dedication to our customers that has allowed Biehn's Floorworks & Design, Inc. to grow over the past 22 years. A great deal of our customers come to us through word of mouth from past customers. That really says something about our company, that our customers are confident enough in us to recommend our services to their friends. Vic's Carpet & Flooring is a family owned business located in Oconomowoc, Wisconsin. Our 7000 sf showroom has one of the largest selections of floor coverings in the area. 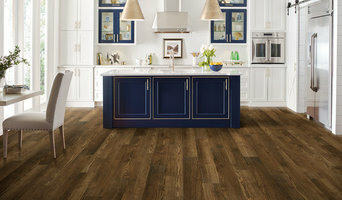 Whether you are just getting started researching your flooring options or know exactly what you want, want to shop at home or shop in-store, want to install it yourself or work with an experienced installer, we are confident that Hunt's Flooring is just what you are looking for in a flooring store. Whether you are in need of carpet, vinyl, hardwood, ceramic or tile flooring, you're sure to find a wide selection of brands and styles in our store. We have more than 100,000 square feet of flooring available in-stock and ready for installation. Come visit us or take advantage of our free, shop-at-home service! Hunt's Flooring is a proud member of the Better Business Bureau. We have a knowledgeable sales team and experienced installers to help you through the flooring selection and installation process. Whether you're looking for hardwood flooring or luxurious carpeting, Hunt's Flooring has what you need. We have so much overstock, we are selling it at warehouse pricing. Our mission at Anderson Floor Company, Inc. is to provide excellent customer service, perform an outstanding quality of work, and follow the “best practices” of the wood flooring industry. Since its beginning in 1994, TK Hardwood Floor Company has established a reputation for honesty, hardwood and quality installations. We are dedicated to ensuring that our clients' needs are met.